With only two main ingredients and just minutes of prep time, this basic roasted cauliflower recipe will become your new favorite side dish for those nights when you just don't know what to cook. Place cauliflower and oil into a resealable bag or container. Shake until the cauliflower is evenly covered in oil. Place baking sheet or pan in the oven and roast for 15 minutes. 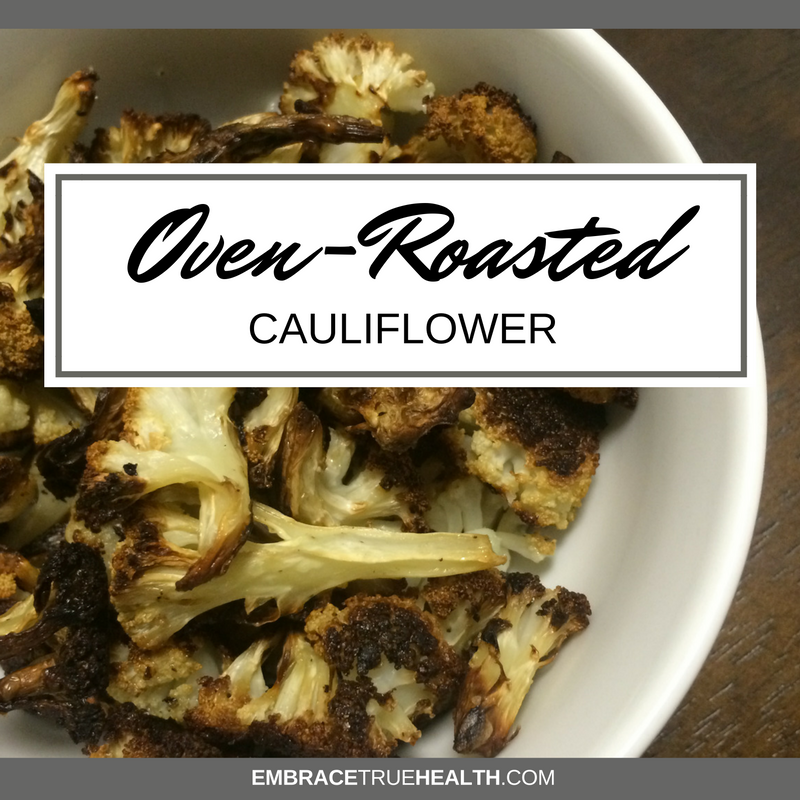 Turn each piece over and roast for another 10-15 minutes or until the cauliflower is tender and golden brown.